Certain teams seem always to be in the news. From the way things have started in 2006, it looks like Alex Job Racing will again be one of those that we will be hearing about very regularly. The original intent of this article was to get some insight into the team finally getting that so important first overall victory (at Homestead), but other happenings appeared, to overshadow that initial win. As has already been written about on dsc, AJR jumped into Grand Am in Daytona Prototype competition, looking for a first for the team, an overall victory. After being the quickest car at Daytona in both testing and the Rolex 24 Hour race, the team had to settle for a third place finish, after falling victim to axle boot problems. 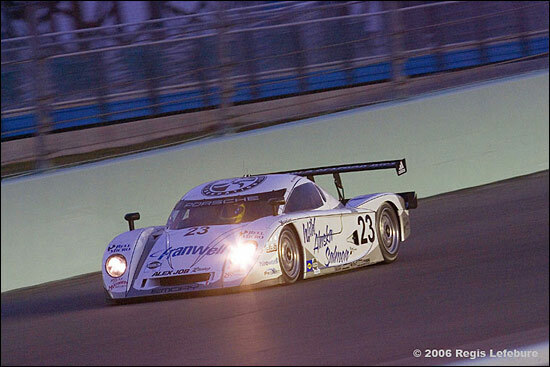 For various reasons, the team chose not to compete at the GA race in Mexico City, which was dominated flag to flag by the Ganassi Riley Lexus pairing of Scott Pruett and Luis Diaz. Instead, they focused on a return at Homestead/Miami, which like Daytona, has historically been a favorable track for the Crawford DP chassis. “We came to Homestead, ready to race. We had a plan and the team executed it to perfection,” explained Alex Job. That plan was to make a late stop, so that for the last part of the race, the team would have fresh tires on the Crawford Porsche, knowing that the Hoosier tires were much better when fresh, as opposed to used. With about 30 laps remaining in the race, Pat Long brought the car in from the lead, Mike Rockenfeller got in and the team installed those fresh tires. In doing so, they dropped to 10th place in the race, but the team was not concerned. It went against the grain, but it worked, as Rocky was able to carve through the field with surprising ease, passing the similar Cheever Crawford Porsche. When the checkered flag flew, Alex and his team found themselves where they have wanted to be – on top of the result sheet, overall. But the jubilation was rather short lived. And move on rather quickly. I’m sure this is not exactly the celebration that the team expected when they came out on top. 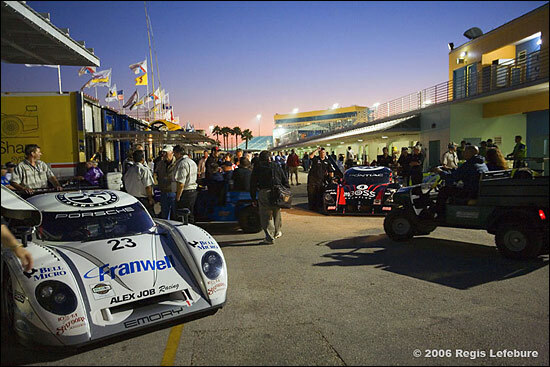 But things soon turned worse for AJR and all of the Porsche powered teams. 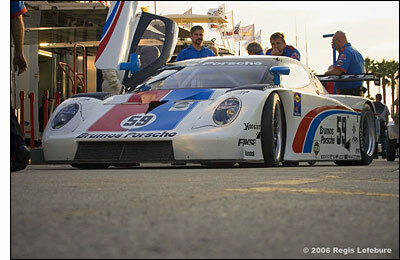 Tuesday morning (March 28) saw the release of a technical bulletin from Grand Am, indicating that all Porsche powered cars would now have a minimum weight 75 pounds higher and also a 9000 rpm limit, where previously there was no rpm limit. 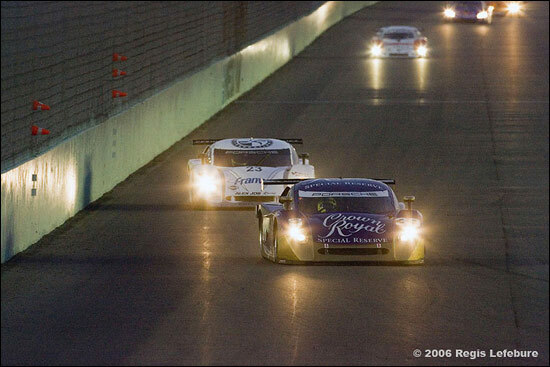 Remember that Grand Am took the motor after the race? Well, the odd thing about that is that the new regs were announced before the motor was checked and dyno tested, which actually occurred on Thursday, two days after the announcement. It is not just the adjustments that are bothering Alex Job. It is also the timing. “So far, the tracks that we have raced at, Daytona and Homestead, have been good tracks for Crawfords. Now, we’re coming up on Long Beach and VIR, both which on paper appear to favor the V8 powered Riley chassis. I’m not sure why GA couldn’t have waited a few races to see how the Porsche cars would do at these other tracks, before making the changes. 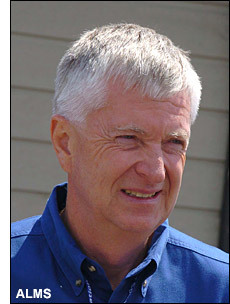 “I know Grand Am intends to keep the competition close, but you can’t run the series like NASCAR Road Racing. There, the chassis are all the same and the bodies have become the same. All that is different is the engines. But Grand Am should be different. It is sportscar racing. You can’t do the same things in this series when you have two or three drivers and the cars consist of various engine manufacturers and chassis constructors. It is not spec racing and it should not be treated that way. In a world of conformity, where everything looks and feels the same, sportscar racing needs to stay diverse. It needs to have variety. That is what sportscar racing is based upon and should continue to be based upon. According to Alex, the AJR car will now weigh an additional 55 pounds, as they were running about 20 pounds over weight already. The new regs. will actually be a further hindrance for the Brumos-run Fabcars, which had just become competitive, as it appears that those cars were right near the weight limit. Driving a Porsche powered car in this series is not as easy as with some of the other cars. Because the engine is smaller in displacement, the drivers have to contend with a narrower and peakier powerband. Obviously the motor puts out the power, but it does so in a different way from the others. When compared to the torquier V8s that they are up against, the Porsche powered cars have been described as somewhat knife-edge. Because the motors generate their power in the higher revs, the 9000 rpm limit could really hurt.